Love both of these cards Tina!! The sponged sky with the falling snow is beautiful! I cut a few windows and scenes with these framelits when I visited my mom - I'm thinking I need to just order them already! Oh, holy smokes-that background on your first card is unbelievable! Two amazing cards Tina-you're making me excited to go play around in my craft room! 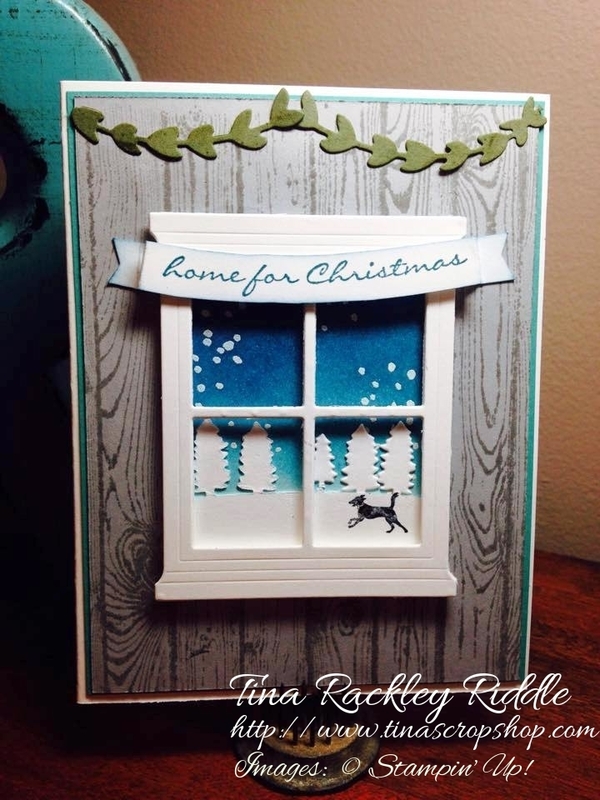 Tina,I love window cards..every time you share one of your creations, it makes ideas go off in my head like fireworks..Your work is so inspiring!! Tina, two very vibrant cards! I just love both of these scenes! The doggie running in the snowbank in the window is soooo adorable! Glad to see you're putting those Little B dies to good use, now I need to break mine out and try them too! Thank you AJ! :) I love that doggie too! I love your sponge work! You did a really amazing job on both of your cards! Oh my gosh, Tina I absolutely love these! They are my favorite things in the Holiay catalog and that background is just awesome! Great job!! Thanks so much! These were my favs from the Holiday Catalog as well! The snow falling and the scenery are just adorbs! You did such a great job on this! Love those colors. These projects are just too cute. Great job! Amazing cards! Beautiful sponging...and that thick Whisper White cardstock is a great idea for adding a little depth to the die cuts. Definitely taking note on that idea. Thank you! Thanks so much! I think you'll be happy using the thick cardstock on these! Your cards are gorgeous. The colors, the details. The people lucky enough to receive them are going to LOVE them! Two gorgeous cards! Also love the colors and that awesome sky in the first one. I'm thinking I need to use this with my club girls next month. two of the most beautiful backgrounds! I just love it! Tina your cards are just beautiful!! 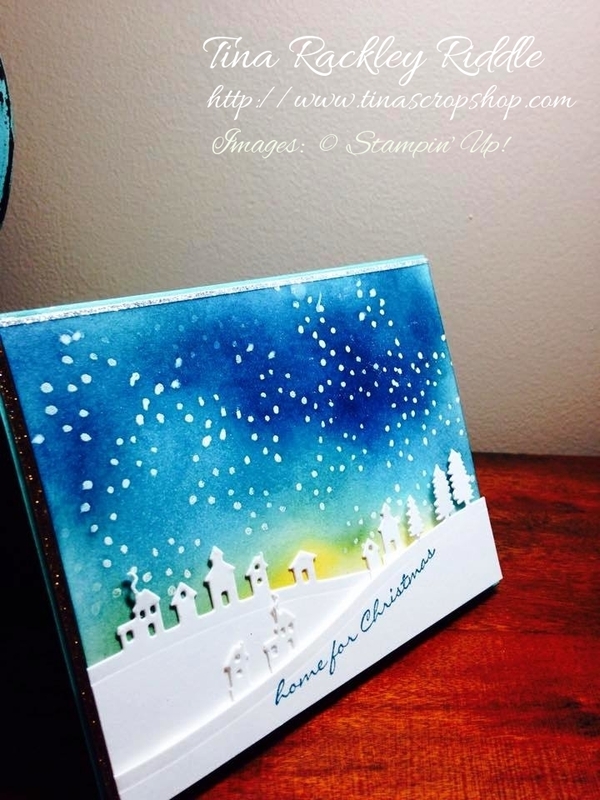 Love your work and I have many of those on their way to my inky little hands! Tina, I just love both of these! I love both of your cards! The inked backgrounds are beautiful, and I love the layouts as well. Awesome projects!